Harvard University Press, 9780674008151, 532pp. Since the introduction of the income tax in 1913, controversy has raged about how heavily to tax the rich. Opponents of high tax rates claim that heavy assessments have negative incentives on the productivity of some of our most talented citizens; supporters stress the importance of the rich shouldering their "fair share," and decry the loopholes that permit many to escape their obligations. Notably absent from this debate is hard evidence about the actual impact of taxes on the behavior of the affluent. 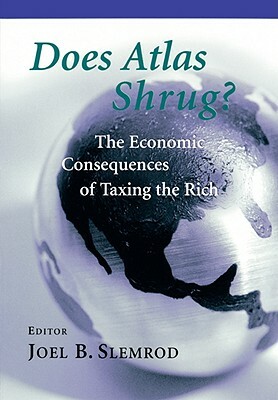 This book presents evidence by leading economists of the effects of taxes on the formation of businesses, the supply of labor, the form of executive compensation, the accumulation of wealth, the allocation of portfolios, and the realization of capital gains. Among its findings are that the labor supply of the rich remained unchanged in the face of large tax cuts in 1986, and that in late 1992 executives exercised billions of dollars' worth of stock options in order to beat the tax increases expected in 1993. The book also presents a history of efforts to tax the rich, a demographic snapshot of the financially affluent, and a road map to widely used tax-avoidance strategies. Does Atlas Shrug? will be of great interest to policymakers and interested citizens who want to know how much tax revenue could really be gained by increasing tax rates on the rich, or whether low capital gains tax rates really spur economic growth.